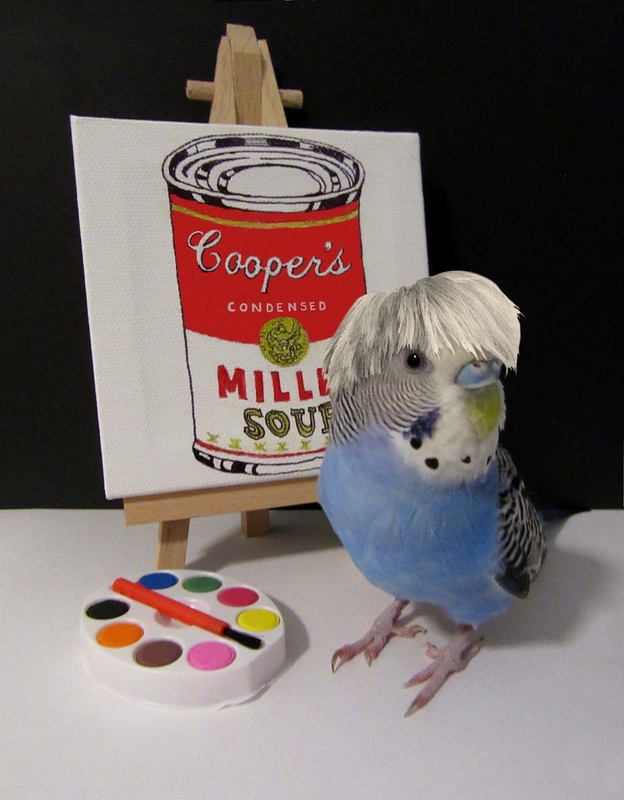 Posted on February 1, 2019 by Michelle M.
This entry was posted in Budgies in Art and tagged Andy Warhol, budgie, Budgies in art, Cooper, Cooper Warhol, Millet Soup, parakeet by Michelle M.. Bookmark the permalink. Ha ha! My vote goes to Cooper, of course.